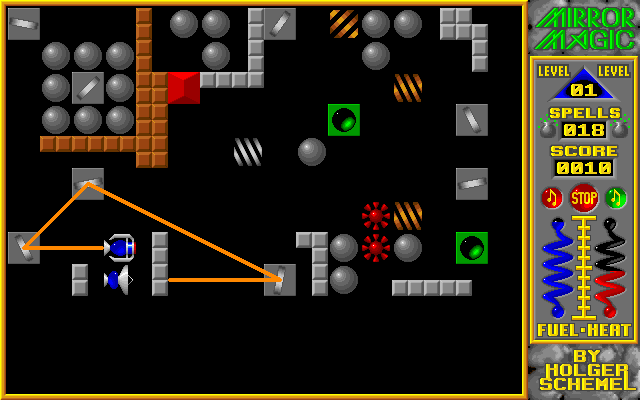 A game like "Deflektor" (C 64) or "Mindbender" (Amiga). the games "Deflektor" and "Mindbender". Game control relies on 2 button mouse. Left click rotates mirror CCW, right CW. Would love to ctrl this game entirely by touch (stylus). Normal click rotates CCW, click plus (configurable) modifier key rotates right.